Highlighted by a bold aubergine hue, this hand made crystal decanter features beautiful cut and makes a stunning addition to any table. Comforting weight is the final detail, reinforcing the Gurasu quality. 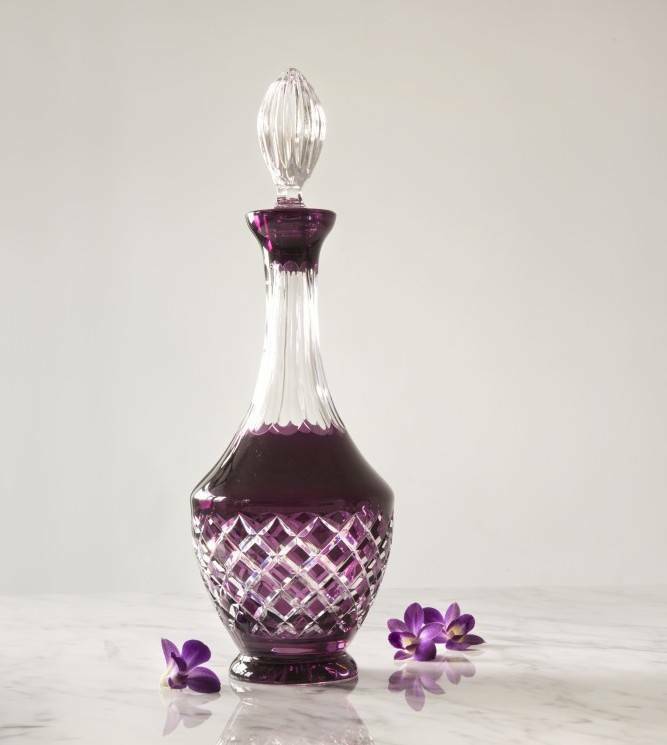 Classic, elegant, and arguably crucial to wine enjoyment, Aubergine Crystal Decanter makes decanting a joy from poured in to pour out. Suitable for serving red wine or cordial.